Not all therapists are equal. There are many therapists who claim to be able to help resolve anxiety disorder. Unfortunately, many aren't effective, and some may even cause more harm than good. We also found that too many clients were struggling even after years of therapy. It's been our experience that locating a knowledgeable therapist who truly understands anxiety disorder is difficult. Nevertheless, finding the right therapist is worth the effort. A good therapist can make a world of difference not only in your recovery but also in how well you sustain your normal health once it is attained. Anxietycentre.com recognized the importance of working with a knowledgeable therapist and the difficulty in finding one. So, in 2006, we began our search for capable and experienced therapists. Many of our members told us that the self-help information we had in the Recovery Support area of our website was the best available. To offer the same high quality therapy, coaching, and counselling services, our goal was to find the best therapists available. So, our search began. To ensure the therapists, coaches, and counsellors we chose would be the best in their field, each candidate was selected based on a strict set of criteria. For example, each therapist must have experienced debilitating anxiety disorder in his/her own life. Each therapist must have also successfully overcome it, and must have been medication-free for at least five years since their recovery. We believe personal experience with and successfully overcoming anxiety disorder is an invaluable asset when helping others. It’s one thing to be trained about anxiety, but quite another to have lived it and worked through to lasting recovery. We also required that each therapist be professionally trained as a therapist. All of our recommended therapists have attained their Masters Degree in Counseling or above (equivalent, or higher, than that of psychologists). We believe this level of training also is required to provide effective counseling services to those who are struggling with anxiety unwellness. In addition to their personal experiences and professional training, these therapists also subscribe to anxietycentre.com’s approach to identifying and successfully addressing the underlying factors commonly associated with anxiety disorder. Based on their own recoveries, they found anxietycentre.com’s approach to be the most effective available. Once our candidates were accepted, we then trained them on our program and the many nuances and subtleties of anxiety disorder recovery. After they completed this training, they were also shadowed (having our trainer sit in their sessions) to ensure their approach met the high standards we set for our therapy program. All anxietycentre.com therapists, coaches, and counsellors go through this process to ensure quality help. If you are having difficulty locating a suitable therapist, you may want to consider working with one of our recommended therapists, coaches, and counsellors. In addition to their personal experience with anxiety disorder, they also have the right background and training to help you address problematic anxiety. To make working with one of our anxiety therapists, coaches, and counsellors easy and no matter where you live, our therapists work with people from around the world via the telephone or VOIP (Voice Over Internet Protocol - using your computer like an Internet phone and/or video phone, such as with the free software, Skype). Working with a therapist, coach, or counsellor via telephone or computer is called teletherapy. Research has shown teletherapy to be equal to, if not more effective than, face-to-face therapy. We’ve been doing teletherapy for over fifteen years and have found it to be very successful. In fact, it has been so successful that almost all of our face-to-face clients have switched to teletherapy because of its effectiveness, convenience, and confidentiality. 98 percent of our therapy clients meet with our therapists via teletherapy. Teletherapy eliminates the problem of having to live near a good therapist. Using teletherapy, you can work with an effective therapist, coach, or counsellor no matter where you live in the world. Teletherapy is convenient. For example, you can work with one of our recommended therapists from the comfort of your own home, office, vehicle, backyard, cottage, or park. Any place you find private makes a good location to work with one of our therapists. Teletherapy saves you time. Rather than spending time traveling to and from a therapist’s office, and then having to wait in the office until he or she is ready, you can meet with your therapist from anywhere and at precisely the time you have booked. No more traveling to and from, and waiting for your appointment. Teletherapy is confidential. Rather than traveling to and from your therapist’s office, and then waiting in a waiting room with a receptionist and other clients, only you and your therapist knows you are seeking therapy. Teletherapy reduces stress and increases effectiveness. For many anxious people, meeting face-to-face is stressful. Teletherapy eliminates that stress. We also find that our clients are more willing to talk about sensitive issues from the security and confidentiality of their private location. This increases recovery effectiveness and speed over face-to-face therapy. There are many more benefits to teletherapy, as well. Choosing to work with one of our recommended therapists ensures you are getting an experienced therapist regardless of location or time, and with the least stress possible. Our desire is that everyone is able to access capable help, no matter where they live. We believe life is too short to waste years suffering needlessly, especially when appropriate help is available. In addition to the benefits of working with the ‘best of the best’ therapists, coaches, and counsellors, our therapists have tools no other therapists have. For example, because of our own struggles with anxiety disorder, we know the many factors that cause issues with anxiety. As a result, anxietycentre.com developed a proprietary diagnostic system that quickly and effectively discovers and details the many factors associated with problematic anxiety. Rather than spending many months trying to uncover the core reasons for a struggle with problematic anxiety, within 90 minutes or so, we know exactly what the factors are, their mix, and degrees. This has proven to be a sizeable advantage over traditional approaches. Not only do we know exactly what the issues are up front, our therapists then help you work through them one at a time beginning within the first few sessions. In addition to the benefits of our proprietary diagnostic system, our therapists also use a time-saving direct approach rather than an indirect approach many therapists use. For example, traditional therapy often uses a roundabout question and answer dialogue over many sessions to uncover the core issues at the root of problematic anxiety. This approach can take months and even years to uncover the core issues, if at all. Then, the therapist will help you address them once they are uncovered. 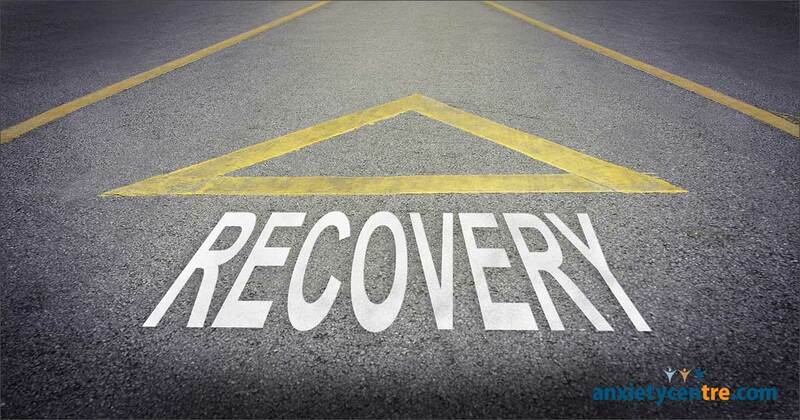 We know that most people want to work through their recovery quickly so that they can get on with their lives. It’s our experience that the traditional, indirect approach can be far too slow. This is where our diagnostic system and direct approach show superior results. Since we know the issues at the root of each person’s struggle up front using our diagnostic system, our therapists help their clients address each factor right away, and often within the first few sessions. Moreover, our therapists are direct about their clients’ recovery. Rather that letting their clients discover their issues on their own over months of talking, as other therapist do, our therapists provide their clients with pertinent information, recovery advice, homework (which helps clients work through the recovery process), and support during every session. Our therapists’ personal and professional experiences with anxiety allow them to be upfront about what works and what doesn’t. They also hold their clients accountable to making healthy change. Since our therapists' goal is your lasting recovery, they can help you get there as quickly and as efficiently as possible. This is not to imply recovery is fast, because most often it isn’t. But that our therapists, coaches, and counsellors can help you attain lasting recovery using the shortest route possible. To that end, we’ve taken a business consultant’s approach to recovery rather than an approach used by traditional therapy: We first identify the problems, explain why they are problems, explain how these problems developed, provide you with tools and solutions to help you make healthy change, and support you as you work your way toward lasting success. We frequently hear from our clients that our approach produces the best results, the most complete results, and much quicker than most other types of therapies. We’ve worked hard to give you the best opportunity to succeed in the shortest amount of time. Anxietycentre.com and the recommended therapists who work with us represent our effort to help those who are experiencing anxiety disorder..and as quickly as possible. If you are interested in working with one of our recommended anxiety therapists, coaches, or counsellors, you can click on the following link for more information about our Anxiety Therapy, Coaching, Counseling Program. You can click on each therapist's picture on that page for specific information about that therapist. If you would like help choosing the right therapist from our list of recommended therapists, email us a brief history of your struggles with anxiety disorder and we would be happy to make a recommendation for you. If you’d rather talk to us about choosing the right therapist, you can either phone us at 1-403-208-0091, or email us your phone number and one of us will phone you. Our office hours are 9 AM to 5 PM MST, Monday through Friday. If you get our message system, leave a message and one of us will call you back at the next opportunity.